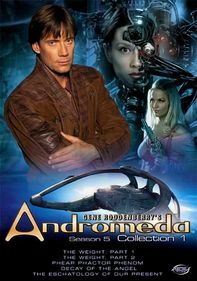 Set prior to the events of Star Trek, this series follows Capt. 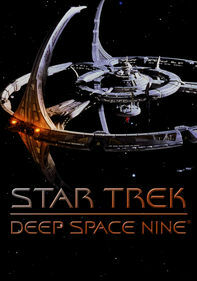 Archer and the Enterprise crew as they explore space, encounter new alien races, and expand the limits of human innovation under the supervision of the more advanced Vulcans. How did the Federation -- the Earth-based governmental unit that overlooks the galaxy's societies -- come to be? 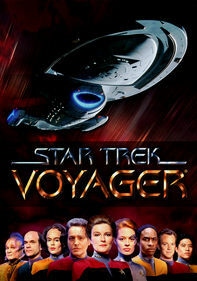 Find out in this "Star Trek" spin-off as Jonathan Archer (Scott Bakula), captain of the &NFi;Enterprise NX-01&NFi_;, leads a team of voyagers filled with enough drive and courage to power them through years of adventures in space. Along the way, the crew must battle menacing extraterrestrials in all forms. A century before the Starship Enterprise sped through space and time, Capt. 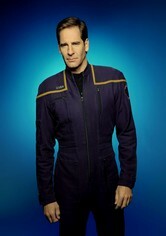 Jonathan Archer (Scott Bakula) was leading his crew on explorations in the ultramodern Enterprise NX-01 in this popular "Star Trek" spinoff. 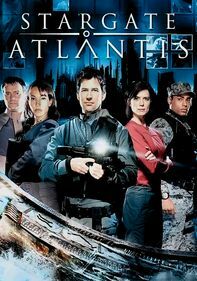 Season 3 follows T'Pol (Jolene Blalock), Dr. Phlox (John Billingsley), Reed (Dominic Keating), Mayweather (Anthony Montgomery), Sato (Linda Park) and Tucker (Connor Trinneer) through another string of adventures. Led by Capt. 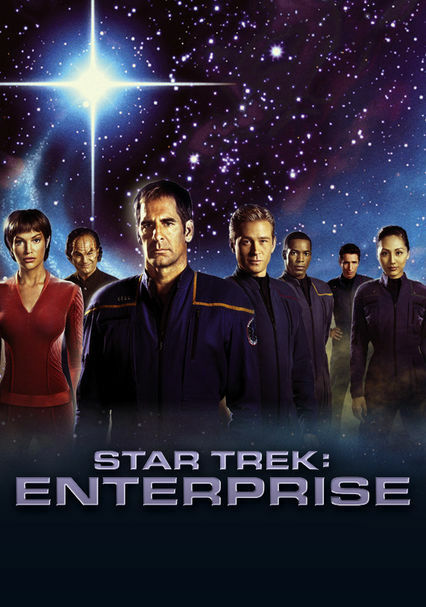 Jonathan Archer (Scott Bakula), the crew of the USS Enterprise rides high once more, hurtling through time and space in search of its ultimate destiny. The journey begins as the crew finds itself in the middle of World War II. 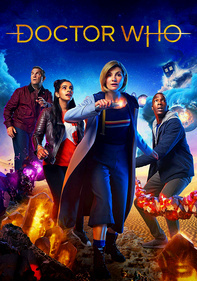 Later, they face off against genetically transformed humans, travel to Vulcan to hunt down a terrorist group, fend off a dangerous silicon-based infection and more. 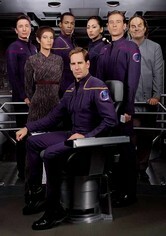 Parents need to know that humans don't always come off looking like the most competent race in Star Trek: Enterprise. 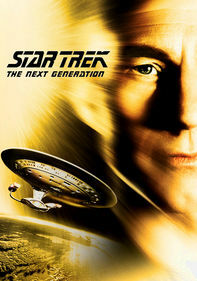 The show documents some of Starfleet's early missions beyond the Milky Way, and most of the drama comes from the crew's frequent contact with new alien species. Some of these are friendly, some are wary, and some are immediately hostile; in many cases it's clear that mankind is the new kid on the galactic block, and we often have little concept of protocol. The thinly disguised contempt of some alien cultures (especially the Vulcans) toward the humans might prompt viewers to take a closer look at how people who think they're quite advanced present themselves to others who may have a different opinion. Like most of the Star Trek TV series, there's some violence, but not a ton of romance or strong language. With all those men and women stuck on a spaceship for an extended tour of the furthest reaches of the galaxy, it's pretty surprising how little romance occurs. There's not even much flirting. Still, one of the series' most important plot lines centers on the evolving romantic relationship between two of the main characters. Plenty of action, ranging from fistfights and shootouts to spaceship battles, but little blood or graphic injury. No bad language. Apparently humanity has evolved a bit by the 22nd century. 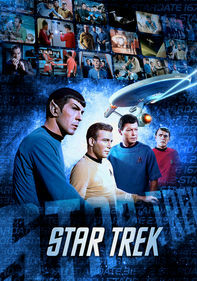 The series highlights humanity's first explorations of the Universe, before the rules of the Federation were created. The desire to explore and collaborate with the alien cultures they encounter is often positive, but the humans and those they encounter often let their prejudices influence their actions. There are no direct product references, but Star Trek is a commodity in itself. Some drinking, but characters rarely get drunk. One of the main characters becomes addicted to an alien drug in an important story arc.